25 years ago today, on the 9th of November 1989, the Berlin Wall was opened to East Germans as a border crossing allowing them access to the West. 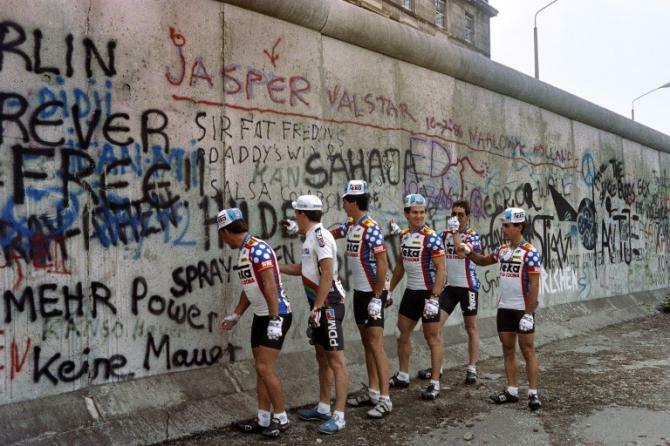 It was an incredible time as it meant the end for the hated wall which had been erected in 1961, dividing the city. 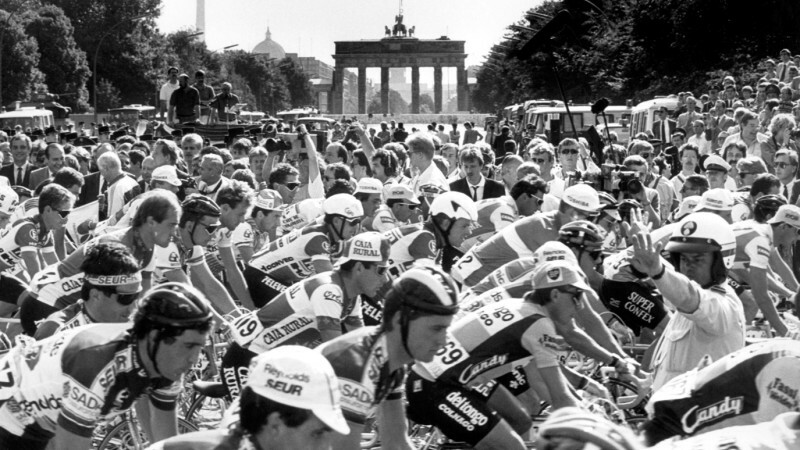 Just two years previously, the Tour de France had started in West Berlin, passing close to the wall on numerous occasions. 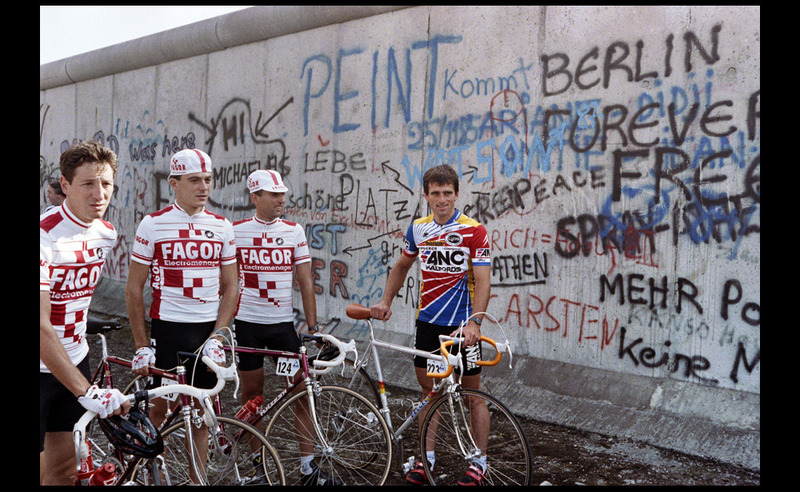 Below are some photos from those days in Berlin, where cyclists took the opportunity of getting their photographs beside the infamous wall. The race started with a 6-kilometre prologue, which was won by Dutchman Jelle Nijdam of the Superconfex. 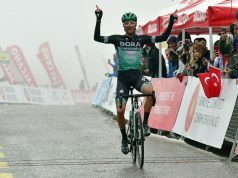 The following day consisted of a road stage of 105 kilometres contained within the Western sector of the divided city, followed by team trial of 41 kilometres. 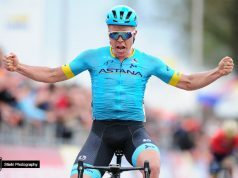 The road stage was won by another Dutchman, Nico Verhoeven, with the Polish rider Lech Piasecki taking over the yellow jersey. 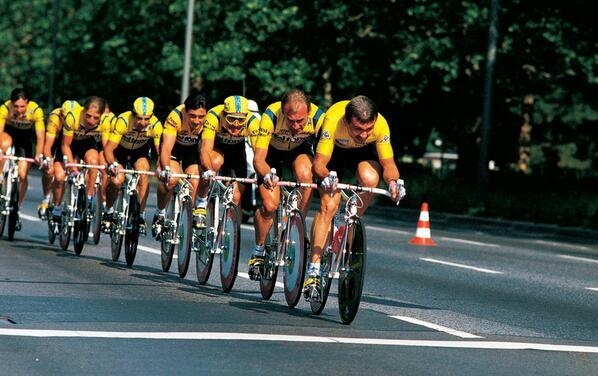 The afternoon team time trial was won by Stephen Roche’s Carrera team. The Irishman would go on to win the race overall, after a hard-fought battle with Pedro Delgado. 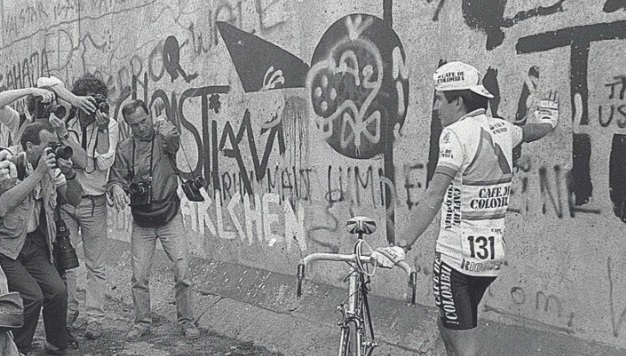 The Colombian rider Luis Herrera surrounded by photographers at the wall. 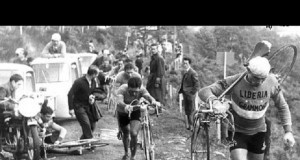 Lech Piasecki wearing the maillot jaune leads his Del Tongo team in the team time-trial.